Diabetes can affect the eye in various ways. Diabetic Retinopathy is a common vision-threatening complication which causes damage to the retina, the light-sensitive layer at the back of the eye. The risk of developing retinopathy is higher for patients who have had uncontrolled diabetes for a long time. It has been estimated that about 70% of patients who have had diabetes for over 15 years will have some damage to their eyes due to diabetes. Efficient methods are available to detect high-risk retinal lesions and blindness due to diabetes which can be prevented if early detection is done and timely treatment is administered. The combined effort of diabetologists and ophthalmologists makes implementation of a screening programme for retinopathy possible in our country. The main problem in diabetes retinopathy is that patients will not have any visual or ocular symptoms until the central seeing area of the retina (macula) is affected or if there is bleeding in the eye. The retinal examination must be done once a year (annually) starting from the time of diagnosis of diabetes for all patients with diabetes. Newer techniques of screening for retinopathy by using state-of-the-art digital retinal cameras are available. Retinal Colour Photography is used as a screening procedure especially for people. Tele-ophthalmology is a boon for patients in remote areas who don’t have access to ophthalmologists (retina specialists). Telescreening for diabetic retinopathy, which is a cost-effective and reliable method for screening, is done at all our branches where ophthalmologists are not available, using smartphone-based fundus cameras. Fundus Fluorescein Angiography (FFA) is a procedure which involves intravenous injection of a dye in the arm and then taking rapid sequence photographs of the retina. This helps the ophthalmologist to have a complete assessment of the changes in the retina and pinpoint the specific areas in the retina which are diseased. Optical Coherence Tomography (OCT) is a non-contact non-invasive retinal imaging technique, using infrared light to visualize the biological tissues/ layers of the retina, especially the central vision area of the retina, namely the macula. Qualitative and quantitative measurements of retinal morphology by the OCT makes it a powerful adjunct to conventional fundus examination and FFA, not only for diagnosis but also track disease progression and monitor response to treatment for sight-threatening retinopathy. It is useful in the evaluation and management of diabetes macular edema and various other retinal disorders. 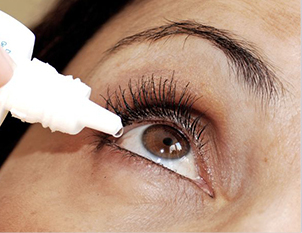 Good blood sugar control is the mainstay of treatment for retinopathy. Laser photocoagulation and intravitreal injections are the gold standard treatment advised for patients with sight-threatening retinopathy. State-of-the-art laser photocoagulation equipment is available for treatment at our centre. How is the retina affected in diabetes? In the early stages of diabetic retinopathy, the capillaries (small blood vessels) become weak and lead to the formation of multiple tiny red spots in the retina (microaneurysms). At this stage of retinopathy, the patient has no eye complaints. Further, there can be fluid accumulation in the central sensitive vision area of the retina (macula) along with fat deposits called as ‘diabetes macular edema’ which can lead to visual disability. In Proliferative diabetic retinopathy, new blood vessels form in the retina in response to hypoxia (low oxygen). These vessels are weak and fragile and can bleed inside the eye (vitreous haemorrhage). There will not be any decrease in vision until there is intense bleeding inside the eye. A laser generates and amplifies light energy, producing a powerful beam of light that is made up of light waves. The word “LASER” is an acronym for Light Amplification by Stimulated Emission of Radiation. Which patient with diabetic retinopathy needs treatment like laser photocoagulation or injections in the eye? Diabetic retinopathy is of several grades or stages. A qualified retinal specialist will be able to grade the lesions due to diabetic retinopathy very accurately. 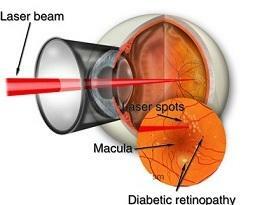 Not all patients with diabetic retinopathy need laser treatment. Proliferative retinopathy: When abnormal new vessels form on the retina they should be photocoagulated. Laser photocoagulation will help to resolve these new vessels before they produce any damage. 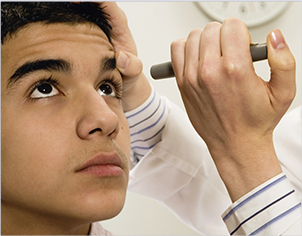 If left untreated there is a definite risk that they could bleed and lead to sudden loss of vision. In some patients with persistent proliferative retinopathy, intravitreal injections have a role in the regression of new vessels and prevention of neovascular glaucoma, an advance sight-threatening condition. In proliferative retinopathy laser photocoagulation effectively converts these areas of hypoxia into areas which do not need oxygen (anoxic). This ensures that there is no stimulus for abnormal chemicals like VEGF for new vessel formation. In diabetes macular edema, laser photocoagulation treats the leaking microaneurysms. Are there any side effects of Laser Photocoagulation? If done by a well-trained retinal surgeon, laser treatment is an absolutely safe procedure and there are no major side effects. 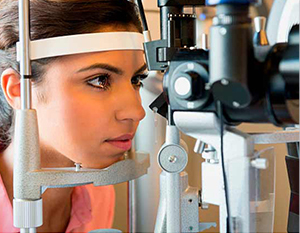 Transient blurring of vision may occur in a few patients. There could be black spots floating in the fluid of the eye, which will settle down within a few days. 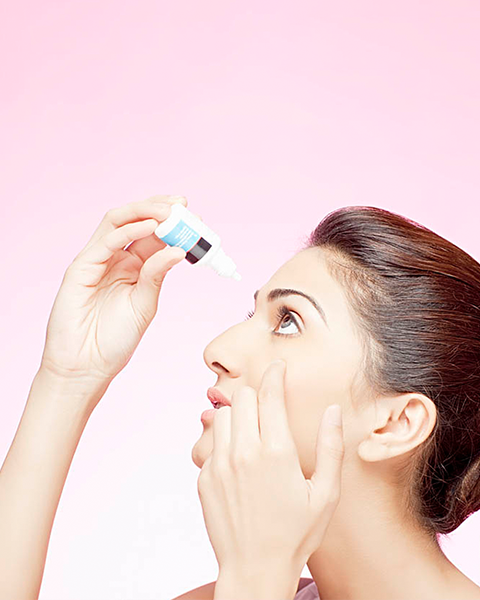 What are intravitreal injections for diabetic retinopathy treatment? Will the vision improve after laser treatment or intravitreal injections? Often the patient does not have any visual problem even if they have proliferative retinopathy or fresh diabetes macular edema before the treatment. In such cases, it is sometimes difficult to make the patient understand the need for – treatment for protection against the serious risk of loss of vision. In some patients, laser therapy helps to maintain the same vision that the patients have at present and in some patients, it helps to improve the vision too. We have evidence based on studies all over the world that if left untreated the vision will deteriorate rapidly, whereas if laser photocoagulation is performed the vision can be maintained at the same level. 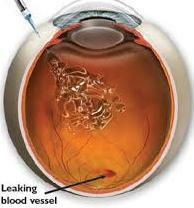 Intravitreal injections help to maintain the vision and also improve the vision by a few lines. At our centre, we have screened the eyes of several thousand patients with diabetes. Ours is one of the few centres exclusively devoted to management/ treatment and research in diabetic retinopathy in our country. We follow an internationally accepted system for grading of diabetic retinopathy (ETDRS Grading System) and International Clinical Classification of Diabetic Retinopathy. The development of senile cataract is earlier in patients with diabetes as compared to the normal individual due to the metabolic disturbances. The indications for cataract surgery are the same as in individuals without diabetes and is related to the individual needs. Good control of it is mandatory for the success of surgery in a patient with diabetes. A patient with diabetes will have a normal vision after cataract extraction and intraocular lens implant if the retina is normal. The latest Phacoemulsification- Microincision cataract surgery(MICS) is done in our centre for diabetes patients requiring cataract surgery. All structures of the eye are susceptible to the harmful effects of diabetes. Diabetes-related eye disease has a strong relationship to the control of blood sugar and duration of diabetes.